If you have previously purchased the Standard version you can upgrade to the Pro version. You only pay the difference and your current installations will be replaced with the Pro version. If you want to purchase the Pro version as an additional product and keep the current installations of the Standard version then close the upgrade box. play just like any other audio CD. But when this CD is opened on a Windows PC or Mac it will show the data session as an extra drive. The Pro version will unlock full Enhanced CD DDP support. With this option you can open and export Enhanced CD DDP files and CD’s. Adding a data session to an existing DDP fileset is also possible. A very convenient feature of the Pro version is vinyl mastering mode. This mode is active as soon as you choose one of the tracks as start of side B of your vinyl project. This effectively splits the project in a side A and B. A stereo phase correlation meter will appear and you can use it to prevent any problems in the cutting stage. Export of the project will result in 2 audio files, 1 for each side, in 16, 24 or 32 bits wav, aif or flac. format. Generate a pdf tracklist to send with the master files to the cutting plant. If you already own a Standard license, you can upgrade to the Pro version and only pay the difference. 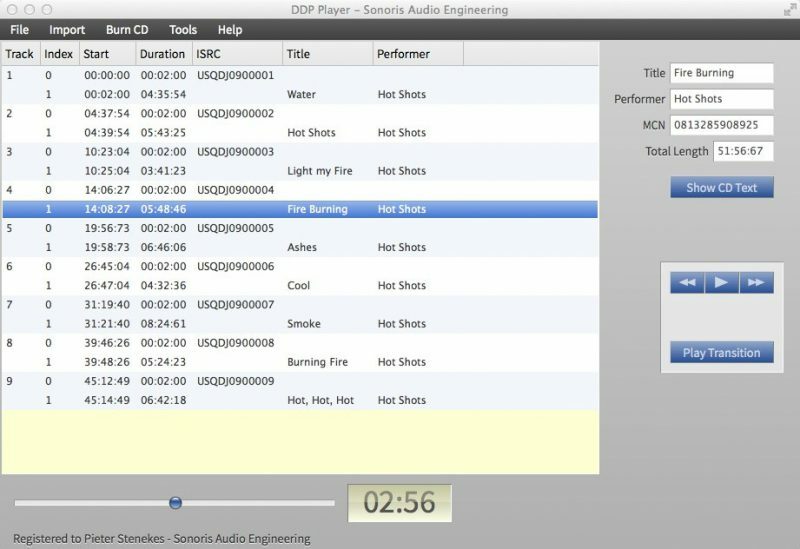 Sonoris Audio Engineering DDP Creator is een volwaardig programma om betrouwbare ddp-bestanden te maken. This really makes life much easier and more professional at the same time! 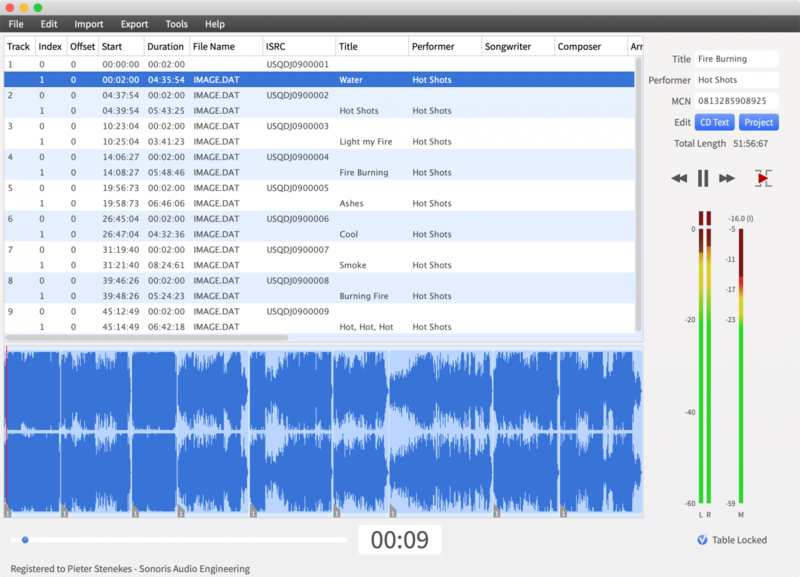 Believe it or not: There are still people out there mastering in Toast… We at QUINTON RECORDS work in Pyramix but sometimes need to transfer things to MAC and so your dual-platform approach can save lives!